While not common, there are situations where a passenger can be held liable for the negligent acts of a driver. Some specific examples include direct acts that interfere with the driver, or providing intoxicants and permitting that person to drive. 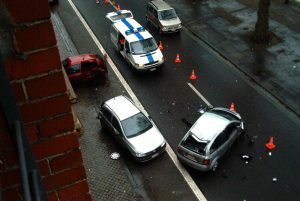 To hold a passenger jointly liable for injuries, Baseluos Law Firm will examine whether the passenger committed such acts as pressing on the brake or accelerator, preventing the driver from applying the brake or accelerator, grabbing the steering wheel; hindering the driver’s view; pushing or aggressively fighting with the driver, and other various acts. Another scenario involving passenger joint liability is if the passenger and driver were involved in a joint venture. 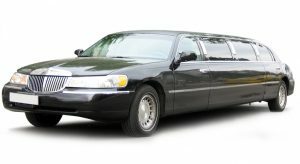 Some common tell-tale marks of a joint venture include going to a common destination ; an agreement to share expenses; a joint venture in renting the vehicle; joint ownership of the vehicle; and other forms of proof that reflect an equal opportunity to control the direction of the vehicle. Trying to fix liability on a passenger who provides alcohol or drugs to the driver generally requires proof of some additional act besides giving alcohol. The theory of negligent entrustment in such cases becomes stronger when the passenger is also the owner. Negligent entrustment theory also can apply in certain situations where the passenger has some sort of authority over the driver’s actions. A common scenario is the limousine driver and the owner-passenger or the passenger that hires the driver. Other scenarios include a driving school instructor passenger and the student driver. The objective of negligent entrustment is to provide another tool to hold persons outside the driver negligent under the law in the various greater San Antonio auto accidents that occur daily.